Kobe, the capital of Hyogo Prefecture, is one of Japan's biggest and busiest port cities. Tracing its origins back nearly 9 centuries, Kobe has always been an important hub for international trade and exchange. Easily accessible by air or shinkansen bullet train, Kobe also maintains an extensive network of municipal subway and commuter train lines as well as express train links with Osaka, Kyoto and Himeji making its location ideal for travel or business in the region. Indeed, many major Japanese and international corporations maintain head offices in Kobe. 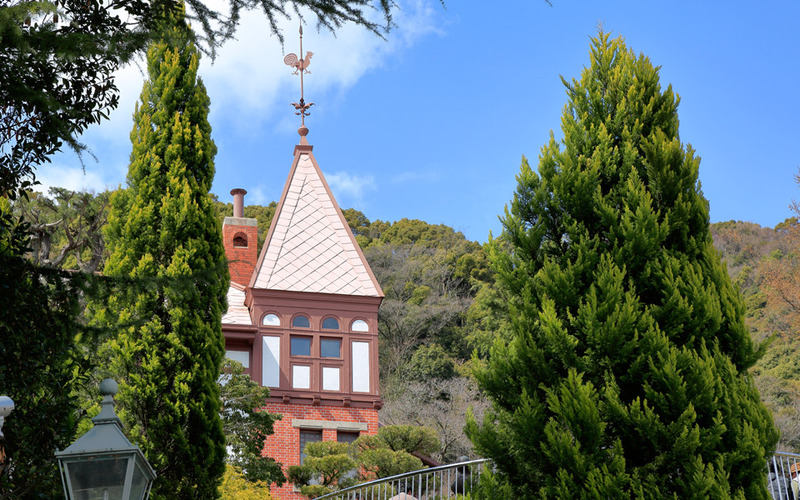 Visitors to Kobe will find a lively, modern, comfortable city with a fascinating history and unique culture that offers up a wide variety of attractions to entertain and enthrall any traveller. 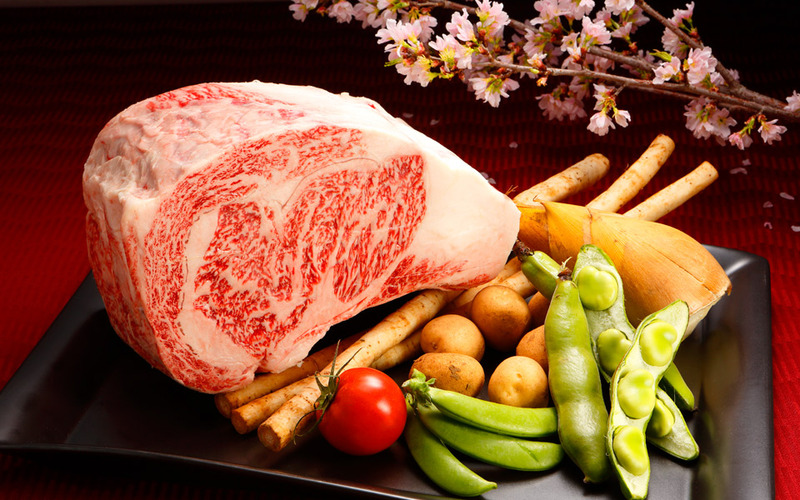 Kobe is perhaps most well-known for it's signature wagyu marbled beef. However, there are many other culinary delights to try in this vibrant port city. Kobe Beef. Of course, no description of Kobe cuisine could start without a few details on the city's contribution to wagyu beef, characterized by it's marbled appearance and tender, full flavored taste. A Kobe beef teppanyaki, shabu-shabu or steak restaurant is generally one of the first stops on any culinary tour of Kobe. Sobameshi. A local original! Finely cut pan fried noodles are cooked and tossed together with boiled rice, pork, vegetables and seasoned with salt, pepper and Japanese sauce. Enjoy this unique Kobe dish. Nagatayaki. This Kobe variation on okonomiyaki is also unique to the city and is served with a variety of vegetables, meat or seafood and local seasonings. Bread & Sweets. Kobe is also a famous area for bakeries. Visitors can often find relaxing cafes at most bakeries and these are popular places for a quick breakfast or midday teabreak with locals and travelers alike. Kobe is a city abounding with options for sightseeing, be it cultural, historical, natural or just some shopping! Ikuta Shrine is thought to be one of Japan's oldest, founded near the beginning of the 3rd Century. Witness to some of Japan's most important historical events, Ikuta Shrine is today known as a shrine of good luck and longevity. Sannomiya Center Town is one of Kobe's biggest stations and Center Town one of its largest shopping areas. Running nearly 600 metres, this massive arcade is home to boutiques, shops, restaurants and department stores. If you're shopping for some of Kobe's famous pearls, sake or arima doll brushes this is the place to start. Nankinmachi Chinatown was founded about 150 years ago in Kobe. 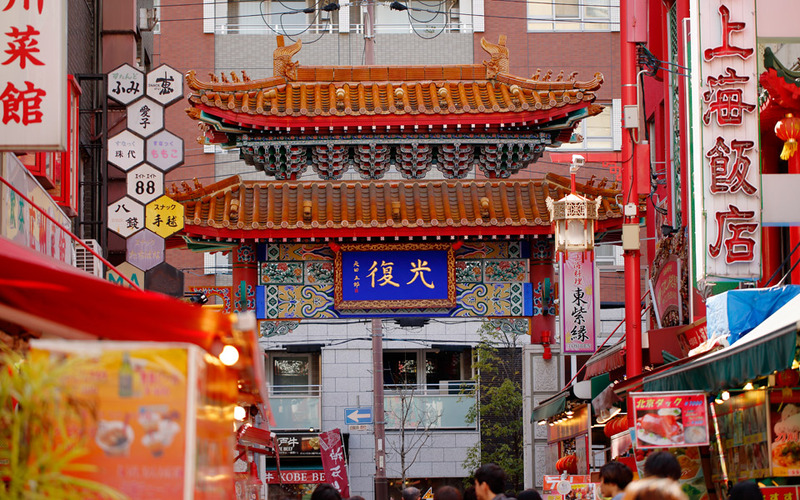 While the smallest of Japan's 3 "designated" Chinatowns, Nankinmachi more than makes up for it with it's authenticity, energy and offerings including over 100 restaurants! Meriken Park is an oceanfront area near central Kobe. 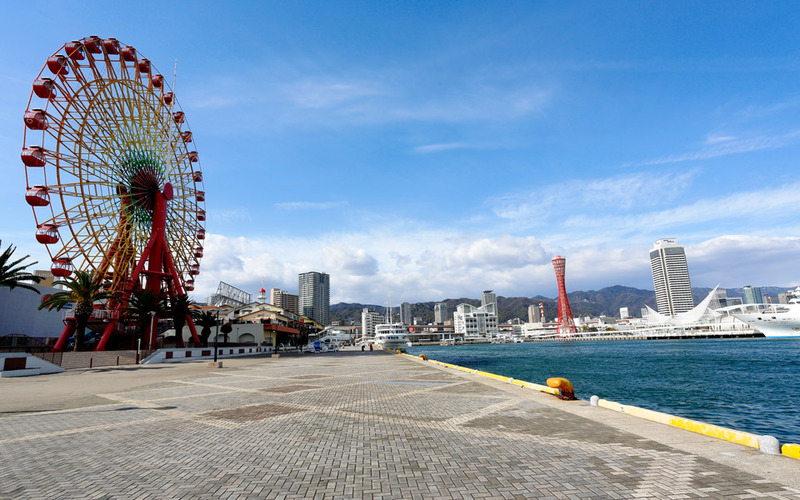 The park is a popular place for a relaxing stroll along the water or to take in some of Kobe's signature landmarks such as the Kobe Port Tower, Maritime Museum and Kobe Harbourland. Kobe also draws visitors for its numerous festivals and events which tend to reflect this city's long history and it's place as a centre of international trade and exchange. Shunsetsu-sai Spring Festival. Held every February to celebrate Chinese New Year, Nankinmachi Chinatown becomes a riot of colour, lights and music. Highlights include the nearly 40 metre long dragon snaking through the area as well as the dragon dances and acrobatics performed by local troupes- and of course the food! Kobe Matsuri Festival. Mid May sees the entire city of Kobe transformed for the Kobe Festival. Started in the 1970s this festival offers up parades, traditional Japanese dancers, a Samba Festival and much more. Kobe Umi no Bon-Odori Bon Festival. O-Bon, or the The Bon Festival, are traditional Japanese festivals held every August where family welcome the spirits of their ancestors and lively dances and events are held. In Kobe, one of the biggest Bon Festivals is held at the oceanside Meriken Park.